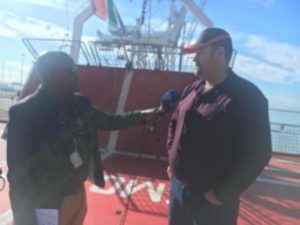 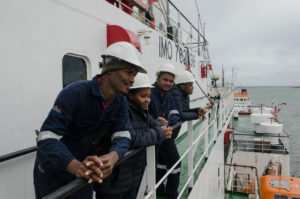 Cape Town, South Africa, June 14, 2018: The South African Maritime Safety Authority’s (SAMSA) dedicated training vessel, the SA Agulhas is back in Cape Town after a successful scientific voyage off the East coast with newly skilled 20 rating trainees who are part of a new pilot programme aimed at increasing the number of employable South African seafarers. 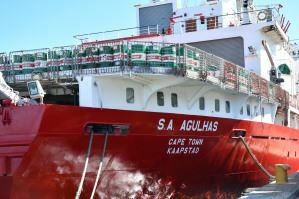 The SA Agulhas is heading back to Cape Town after almost six months. 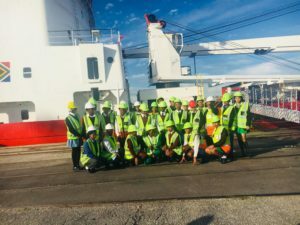 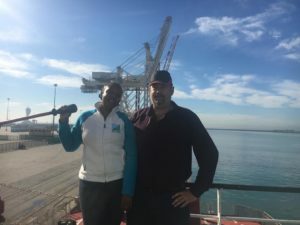 This time on board the vessel are 20 rating trainees who had their very first exposure of the ocean and maritime world when they set off from Port Elizabeth two weeks ago. 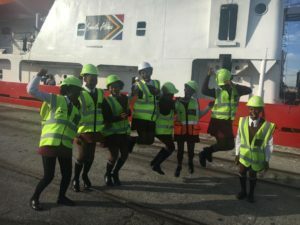 Members of the media are invited to welcome back the rating trainees. 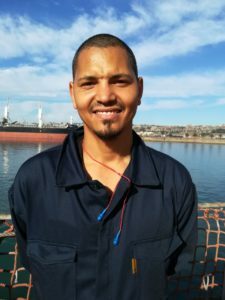 Those attending need to submit their car registration and ID numbers. 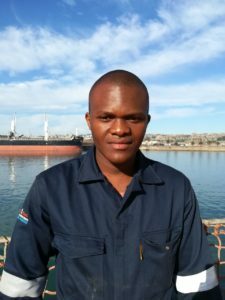 For enquiries contact Tankiso Moshoeshoe on 0793176850 and or Sne Ndudula on 0627378407. 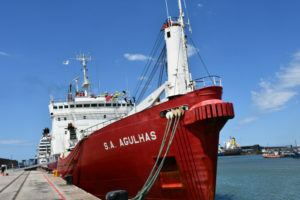 Cape Town, South Africa, June 12, 2018: The SA Agulhas is heading back to Cape Town after almost six months. 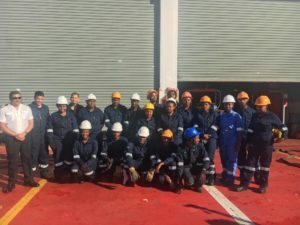 This time on board the vessel are 20 rating trainees who had their very first exposure of the ocean and maritime world when they set off from Port Elizabeth two weeks ago. 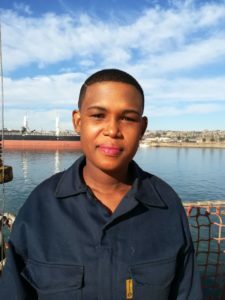 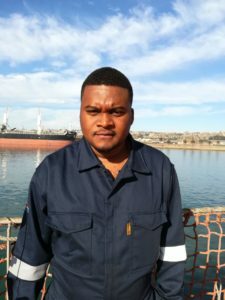 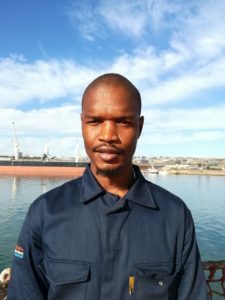 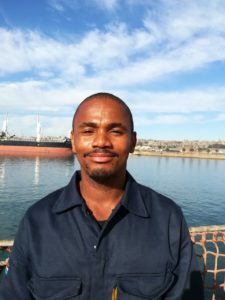 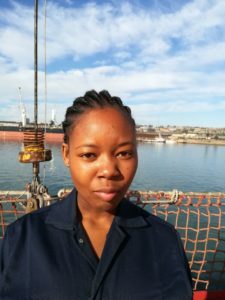 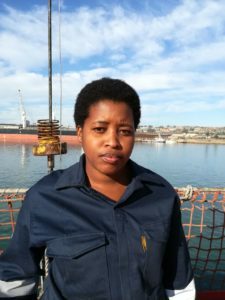 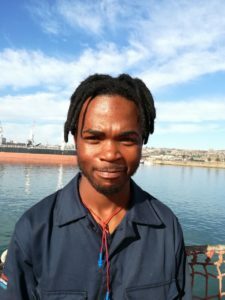 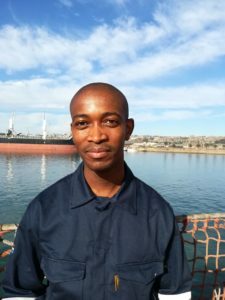 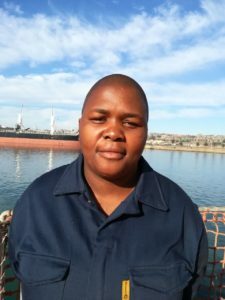 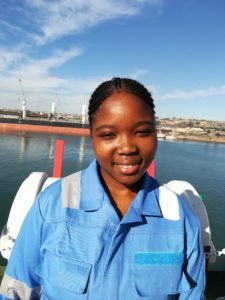 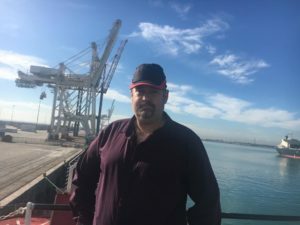 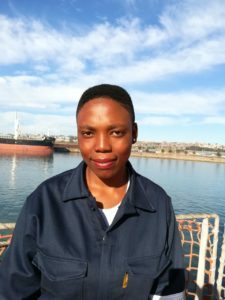 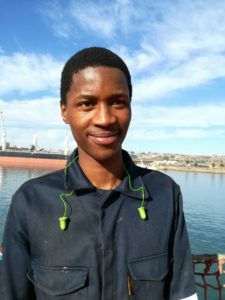 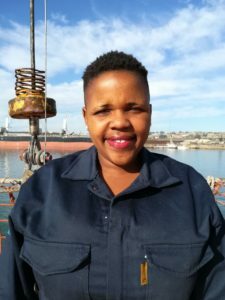 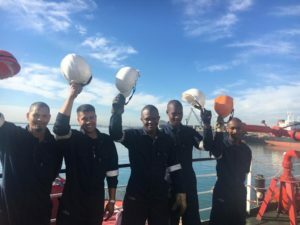 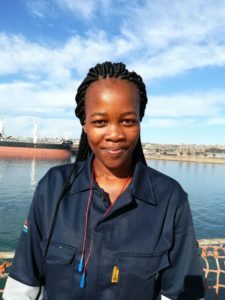 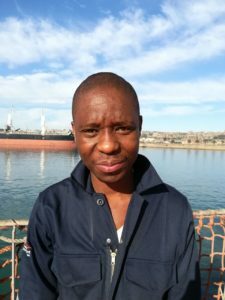 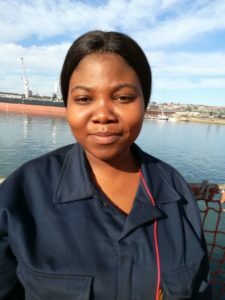 This new chapter in South African maritime history saw the first group of 20 deck and engine rating trainees, and three cadets, gaining practical sea-time towards their international seafaring qualifications aboard the dedicated training vessel owned by the South African Maritime Safety Authority (SAMSA). 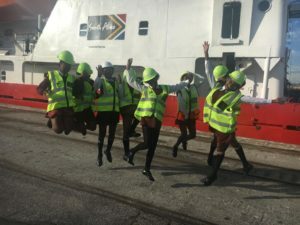 This new pilot project is a first and took on board rating trainees who are school leavers, and who have not had any formal maritime education. 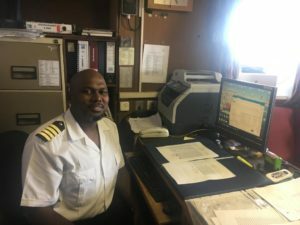 This training will allow them to climb the ranks from Deck- or Engine Rating, up to Able Seafarer level through further on-board training, which will enable them to eventually achieve a Certificate of Proficiency. 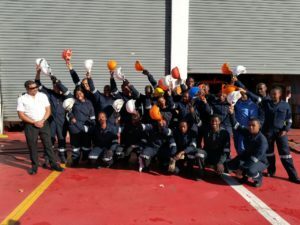 The current group of trainees are being managed by the South African Maritime Training Academy (SAMTRA) and the Sea Safety Training Group. 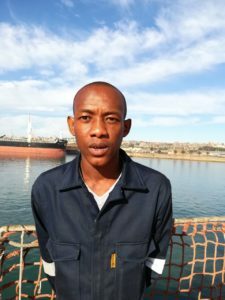 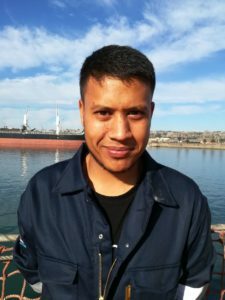 Marine Crew Services is also a partner to the project, having agreed to place trainees in their managed fleets for further training. 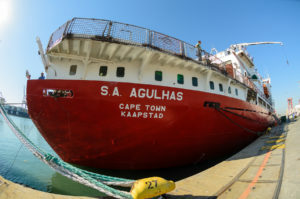 The SA Agulhas, in the past two weeks had sailed along the coast to Cape Town, on charter to the SA Environmental Observation Network (SAEON), a business unit of the National Research Foundation (NRF), to retrieve data from a number of scientific buoys deployed in coastal waters to monitor the Agulhas current and its role in climate change. 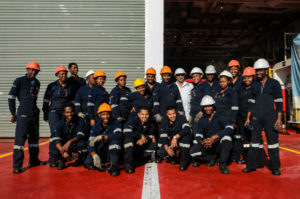 Recently, the vessel spent two months undergoing maintenance and major paintwork in the Port Elizabeth dry dock. 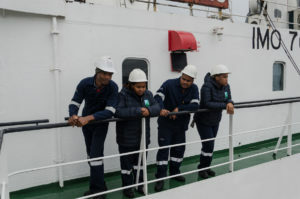 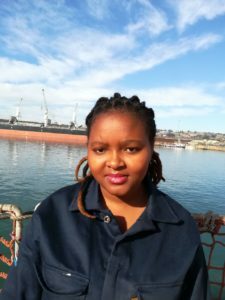 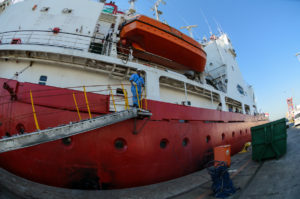 The SA Agulhas is internationally recognised for assisting international researchers and created a platform for young cadets to receive training and sea-time.